Updated main floor condo has all the bells and whistles! New plank flooring, new carpet, fresh paint, designer lighting and fixtures. The chef’s kitchen features quality cabinets, new quartz counters, and new appliances. New doors, moldings, and mirrored closet doors in both sparkling bedrooms. Full size, efficient Samsung washer and dryer! The bathrooms boast new flooring, and new tile surrounds. 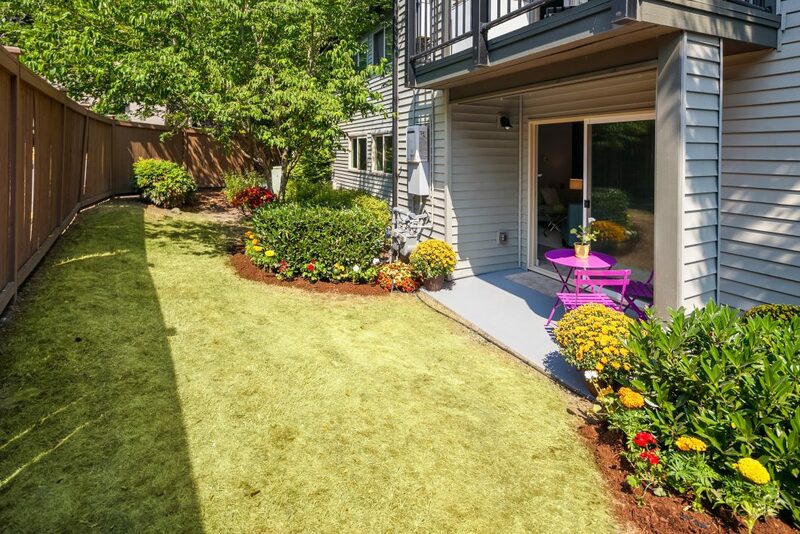 You’ll love the private patio and garden area. Includes 2 reserved parking spaces! Verano was updated in 2003 with new windows, decks, and siding. The unit is situated near the clubhouse, pool, and play area. The complex is in the heart of the Eastside technology corridor, close to Microsoft, Google, Nintendo, and more! Also just minutes away from gracious dining, shopping, and entertainment at Redmond Town Center.